Put your seat belts on, the holiday season is in full gear. If you have children at home, no matter what the age, this is a busy time for you. You might be having overnight guests this holiday season as well as not sure what to feed a hungry bunch of kids. 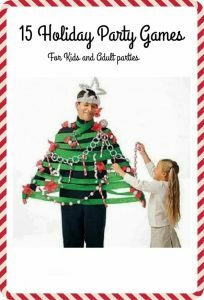 Maybe your kids are asking you to host a gift exchange for some of their friends. Perhaps you are in charge Entertaining and feeding kids can be a task. 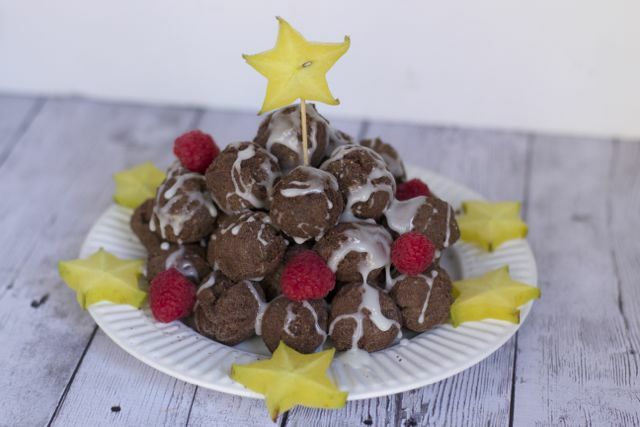 Here are some super easy Kids Holiday Brunch Ideas that any child and parent will go crazy about. Let’s be honest here, kids don’t care if you were slaving over a stove for hours or just popped something in the oven, as long as it tastes good. 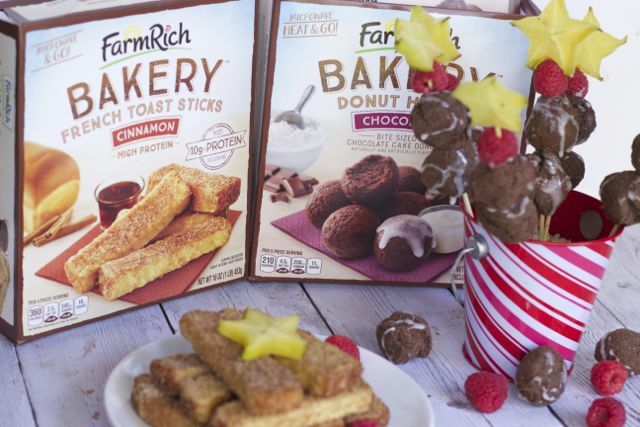 Have you seen the new line of Farm Rich of delicious baked breakfast and snack items called Farm Rich Bakery? 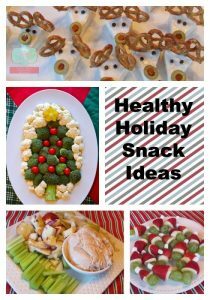 We are using these for our short cut Kids Holiday Brunch Ideas. Find me a kid that does not love Donut Holes . 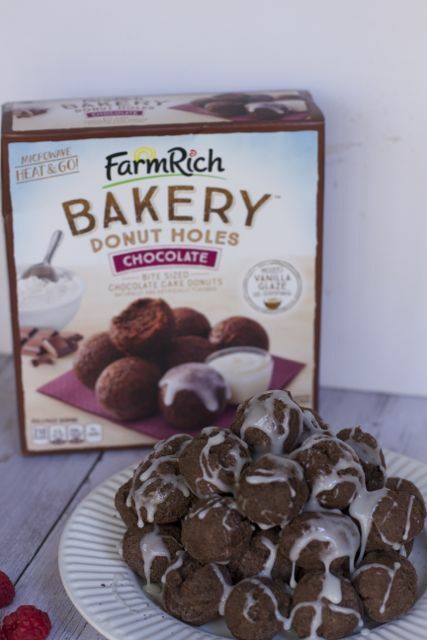 Warm up a box of these Farm Rich Bakery Donut Holes and stack them up high with the glaze packets. 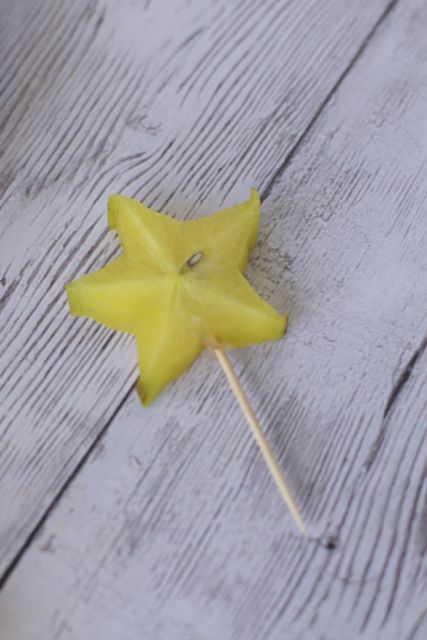 Sure we took it one more step by adding some cut up star fruit on top of the pile and around the plate to give it a festive look. 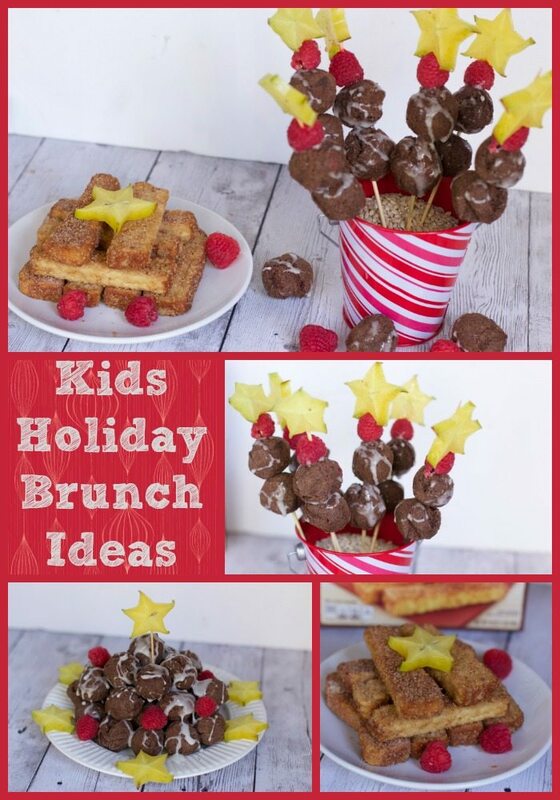 What do you think of this easy kids holiday brunch presentation? Ok maybe you want a more single serve option if you are headed to a class party. 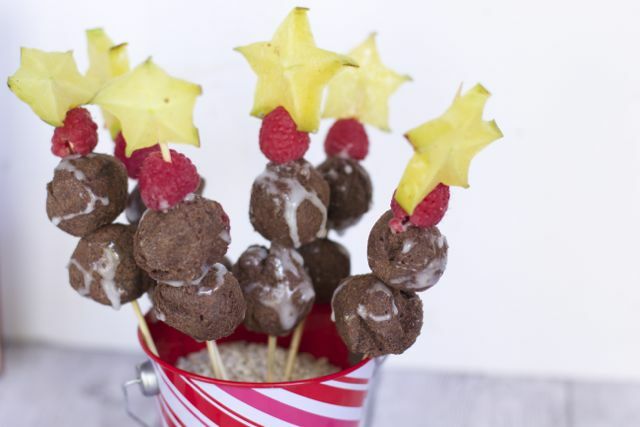 How about this adorable Donut Hole Kebabs? 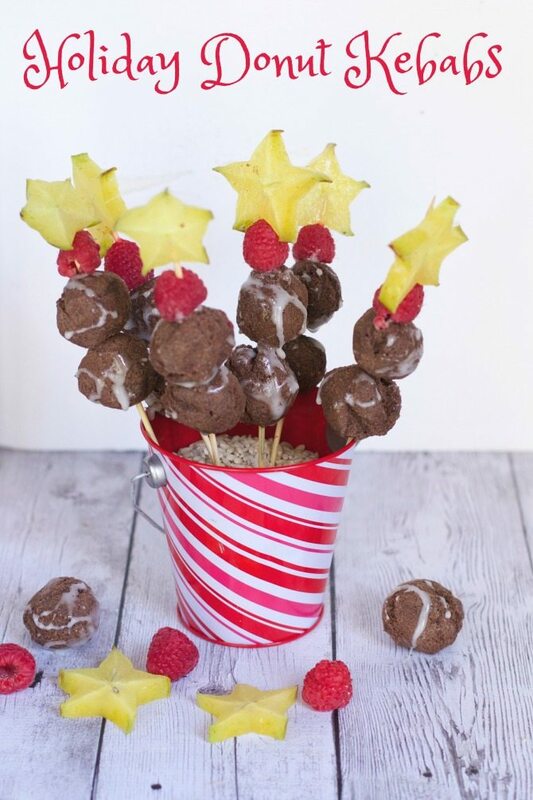 Just layer Farm Rich donut holes, raspberries and a piece of star fruit on a skewer for instant holiday breakfast treat. 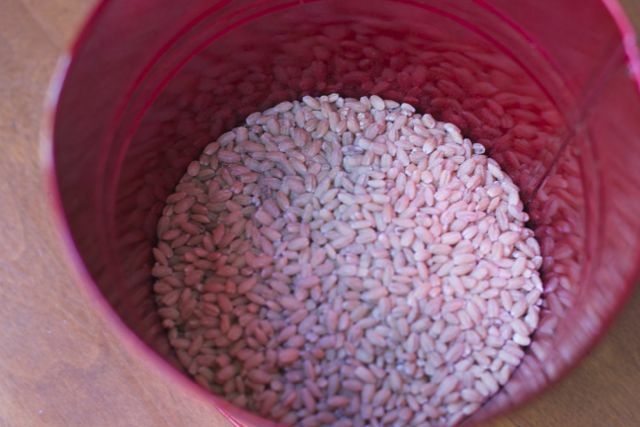 Fill a container with rice or beans to hold your kebabs. 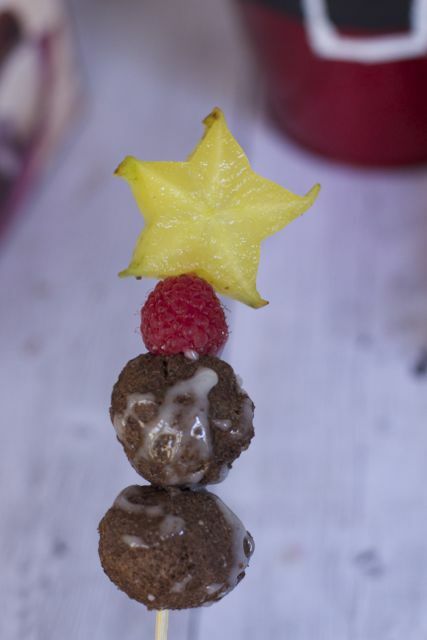 Then stack your holiday donut kebabs for a wonderful presentation and flavorful food item. 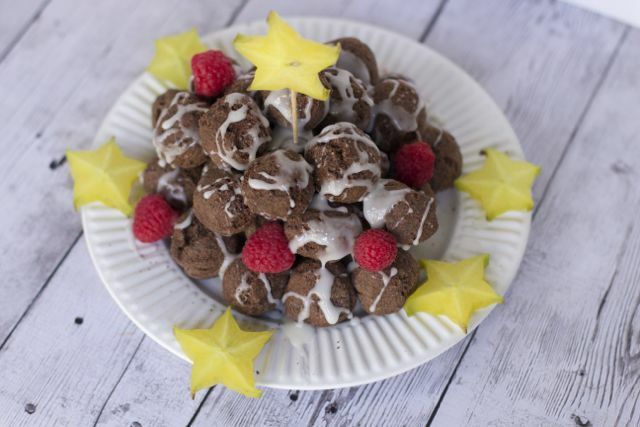 Do I have you convinced with these holiday brunch ideas yet? Kids love variety, parents love easy choices. 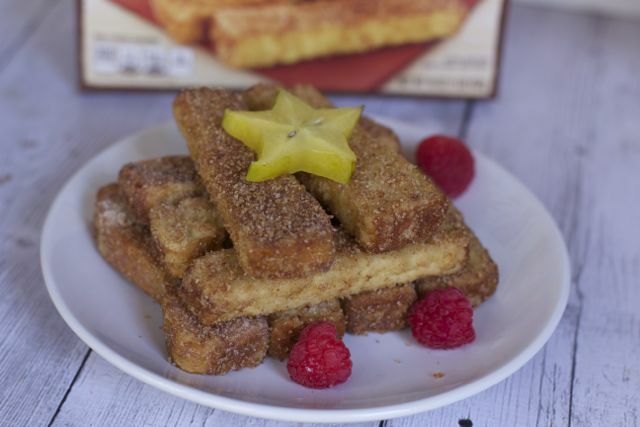 We could not resist adding Farm Rich Premium French Toast Sticks to our brunch display. My kids went crazy over these and parents know that they have 10 grams of protein per serving, which helps kids start the day off right. 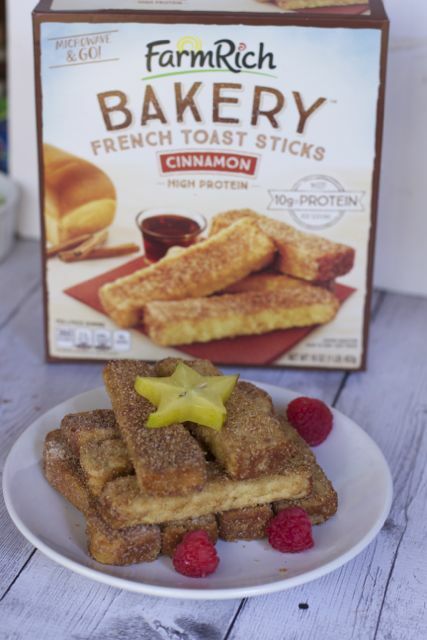 Don’t stress over having kids over for breakfast if you freezer has Farm Rich snacks are Real-Life Good™, made with wholesome, quality ingredients the whole family loves. 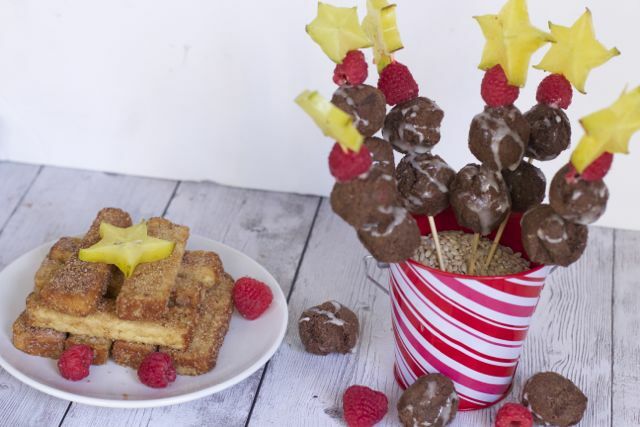 Add some cut up fruit and drinks and the kids will gobble up this holiday brunch spread. Be on the look out for these Farm Rich products and sign up for the Farm Rich Loyalty Club to receive exclusive offers, news, quick recipes, snacking ideas. What would add to this Kids holiday brunch spread? Even older kids would love this. My kids have their HS friends over and they are still just big kids. My kids will enjoy eating this.. Looks so tasty and yummy.. I will try this one. I will definitely try to do this especially on my kids birthdays. They will be happy and crave to eat all because of the designs are very attractive. This is perfect for parties. The kids will surely enjoy.. Very creative and looks so delicious. I am coming to your house for brunch!! Not only will the kids love this but I bet all the adults would too.